The U.S. Department of Justice filed a lawsuit against Volkswagen in January for selling diesel vehicles that broke federal emissions laws. Though the scandal broke a few months ago, investigators discovered that Volkswagen had been selling these vehicles since 2007. The automaker knowingly deceived the Environmental Protection Agency (EPA) and thousands of customers. Volkswagen, no longer denying the accusations, will be tried in a court to determine punishment. 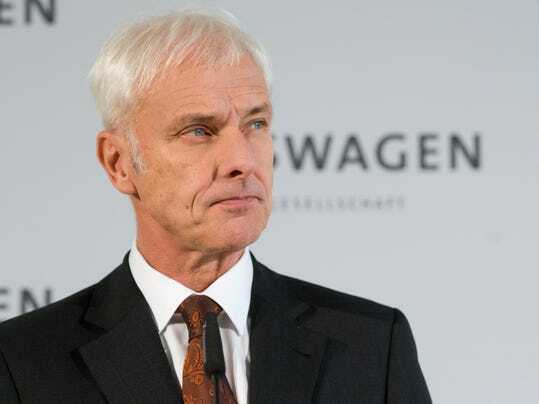 Volkswagen CEO Matthias Müller has reportedly met with representatives in an attempt to control the damage. According to John Cruden, the head of the Justice Department’s environment and natural resources division, the punishment will fit the crime. “The United States will pursue all appropriate remedies against Volkswagen to redress the violations of our nation’s clean air laws. Car manufacturers that fail to properly certify their cars and that defeat emission control systems breach the public trust, endanger public health and disadvantage competitors,” Assistant Attorney General John Cruden told Gas2. Volkswagen may face bankruptcy if the company is charged with $48 billion worth of fines. Matthias Mueller, who became the company’s CEO on Sept. 25. 2015, is reportedly working with the EPA and political representatives to gain a favorable outcome. However, the consequences of bankruptcy are looming. If Volkswagen tanks, thousands of German workers will be out of a job. Volkswagen customers have the right to file against the automaker’s fraudulent claims. European regulatory agencies are satisfied with Volkswagen’s restitution program. The company sold a larger portion of the 11 million affected vehicles in Europe, but it seems that the American justice department plans to hand out harsher punishments. Elon Musk, CEO of Tesla Motors, reportedly said the funds collected from the trial outcome should be invested in electric vehicles. There’s no doubt that funding the development of electric vehicles will be of great benefit to the population, but customers duped by the emissions cheating software still have the legal right to seek restitution. Owners of affected vehicles might be entitled to compensation. Learn more about eligibility by requesting a free case evaluation today.